The Best Singing, Dancing, Pub Show Ever! It’s a party. It’s a concert. It’s a pint-filled good time set in a real working pub that combines hair-raising harmonies, high-energy dance, and live percussion with foot-stomping choreography. 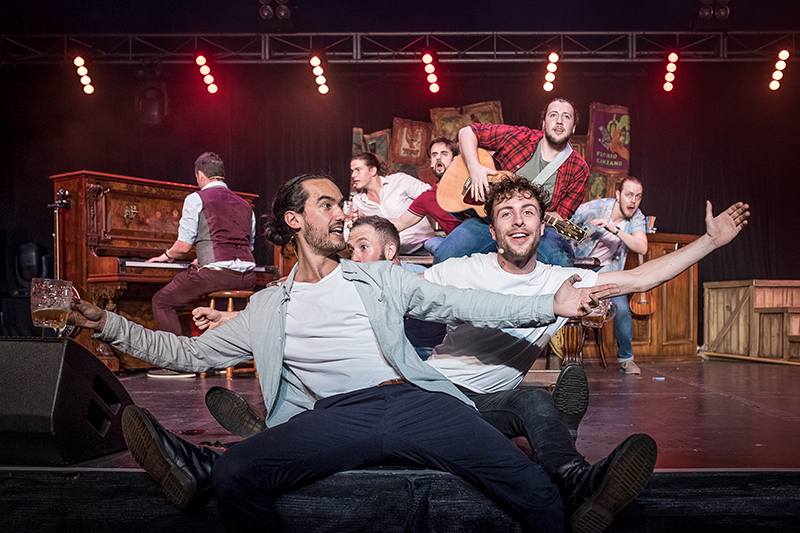 The runaway hit of numerous international music festivals, the nine members of the Choir of Man sing and dance their way through everything from favorite sing-along classics to classic rock, all while pulling pints and inviting the audience to get up close and personal with the show. Featuring the music of Paul Simon, Adele, Queen, Guns n Roses and more, it’s 90 minutes of indisputable joy… the ultimate feel-good show!